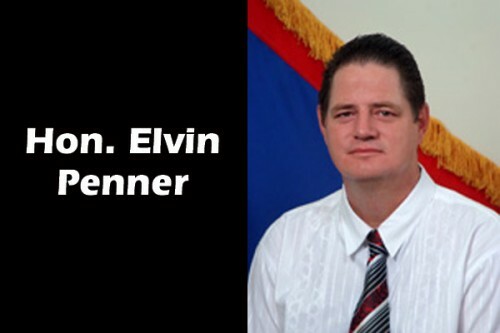 Elvin Penner has returned, but will not resign – yet! However, Penner told the media that he believes that the time is not right to make any public statements as yet. Last week Tuesday, Prime Minister Hon. Dean Barrow “invited” Penner to resign from his post as area representative, and to also resign from the United Democratic Party – a request that has been categorically denied by Penner, who said in a telephone interview last week that he will meet with “his people” this week before making a decision. Penner said that he hopes to complete his consultations in two weeks, after which he expects to meet with Prime Minister Barrow to deliver his decision in person. Barrow left the country last Wednesday for fundraisers in Los Angeles, and is not expected back in the country until this Friday, October 25. Ironically, the same constituency committee that Penner has asked to meet with him this week issued a press release last Wednesday supporting the Prime Minister’s call for Penner to resign and pave the way for bye-elections in Cayo Northeast. Meanwhile, PUP hopeful for the area, Orlando Habet, told KREM News today that so far, his party has obtained 1,700 of the 1,800 signatures required to trigger a recall referendum. Habet, who lost the 2012 March elections to Penner by a razor-thin 17 votes, said that they (the PUP) are working hard to secure the remaining 100 signatures needed. Initially after the “Penner Passport Scandal” had erupted, the UDP had closed ranks with the exiled Immigration Minister of State. After administrators at the Ministry of Immigration uncovered more instances of impropriety and irregularity last weekend, however, the ruling UDP distanced themselves from Penner, saying they did not even want him in the party anymore. Before last Monday, October 14, the Prime Minister and a roster of his senior Cabinet Ministers were in full force in the constituency, asking electors to give Penner a second chance and not to sign the recall petition being pushed by the Opposition PUP. But that all changed by Tuesday, October 15, when Barrow and the Cabinet felt they had no choice but to ask the first Mennonite representative to resign.